Lugano, Switzerland: – Pharmaceutical ingredient specialist Cerbios-Pharma SA (Cerbios) will be an exhibitor at the upcoming InformEx 2018/CPhI North America expo in Philadelphia. Cerbios will share stand 701 at the Pennsylvania Convention Center with local partner Austin Chemicals to discuss actual and new development and manufacturing opportunities. 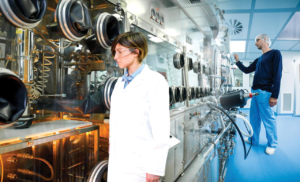 Cerbios is keen to showcase its uprated capabilities in industrial scale cGMP manufacturing of active pharmaceutical ingredients (APIs) High Potency Active Ingredients (HPAIs, or HPAPIs). Cerbios is highly qualified in process development and manufacturing of New Chemical Entities with High Potency and Ultra High Potency characteristics from clinical to commercial. Toxic payload for antibody drug conjugates (ADCs) are also included in Cerbios chemical synthesis capabilities. 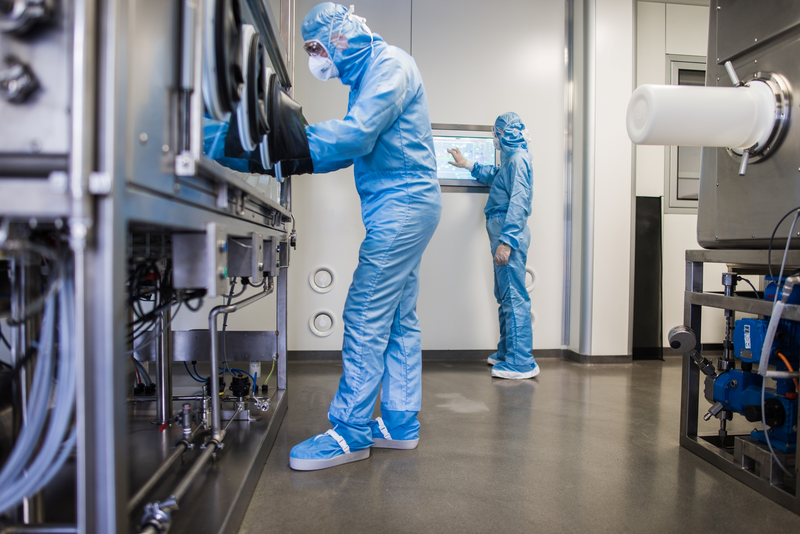 On the top of this service, Cerbios can also offer bio-conjugation internally and end-to-end integrated ADC manufacturing solution within the multinational PROVEO Alliance. Cerbios team, led by Chief Commercial Officer Denis Angioletti and Business Development Manager Simone Sala, will use InformEx to promote its latest generic APIs product list, on the top of the exclusive CDMO service. Cerbios is state of the art and technologically innovative manufacture, servicing the pharmaceutical industry. As a SwissMedic and FDA approved manufacturer, Cerbios can support the outsourcing needs of pharma companies, both original and generic, along with agents and distributors across a wide range clinical and commercial phases. Cerbios-Pharma SA is a privately held company located in Lugano, Switzerland, that specializes in the development and manufacture of APIs for its partners worldwide. Cerbios specializes in the development and production of high potency active pharmaceutical ingredients (HPAPIs) in the area of fine chemicals and biologicals. Beside chemical small molecules, Cerbios also have a Biological Division, offering CDMO services for monoclonal antibodies, recombinant proteins and pharmaceutical grade probiotics. PROVEO can offer an ADCs one-stop shop service from substance development through to full finish. The InformEx Fine & Specialty Chemicals Zone show is one of seven zones that together make up the CPhI North America expo. It showcases the complete range of fine and specialty chemicals, with pharmaceutical end use applications. CPhI North America made its debut in 2017 as a new development of the highly successful CPhI worldwide franchise first established in 1989. The second CPhI North America Expo is a three-day event opening April 24, 2018, once again at the Pennsylvania Convention Center in Philadelphia. Other zones are CPhI Connect for pharmaceutical ingredients, iCSE (drugs development) FDF (finished drug products), P-Mec (Machinery), and InnoPack for packaging. The conference is powered by three tracks of programming covering Drug Development, Drug Manufacturing and Bio-Processing. CPhI North America is staged by leading Global B2B events organizer and publisher UBM Live, with more information on InformEx at: https://cphinorthamerica.com/specialty-chemicals-zone. Click on Cerbios-Pharma at InformEx 2018 for more information. Click on Chemical Contract Manufacturing to find out more about Cerbios-Pharma HPAI capabilities and services.